For many people, being blind and paralysed is not the definition of an athlete. Becoming fully blind at 22 did not stop Mark Pollock from breaking world records. In 2009, Mark became the first blind man to reach the South Pole. He has always been involved with sports, including rowing in 2002 Commonwealth games and running six marathon in a week across the Gobi Desert. However in 2010, the co. Down native suffered another blow when a fall from a second story window left him paraplegic. Pollock now serves as an ambassador for Wings for Life, a Redbull-sponsored marathon which aims to donate 100 per cent of its proceeds to spinal cord injury research. But this isn’t your run-of-the-mill marathon. 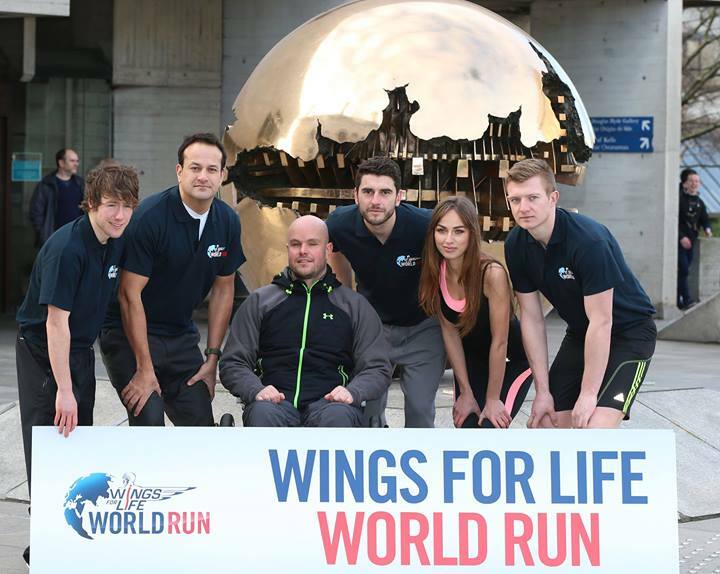 Wings for Life will span 35 countries across six continents and the Ring of Kerry has been chosen as a location. Every single race will begin at 10:00 GMT, meaning that every race will be equally paced. Wings for Life was created by Redbull founder Dietrich Mateschitz and motocross champion Hans Kinigadner after Kinigadner’s son was left tetraplegic (paralysed from the neck down) following a racing accident. They both realised how underfunded spinal cord injury research is. Cambridge researcher Dr. Jessica Kwok explained that spinal cord injury is like a bomb dropped on a ‘well-paved road’. According to Dr. Kwok, the answer is found in our own bodies. There are 145 clinical trials in spinal cord injury. Wings for Life hopes to raise big proceeds to fund the scientific research that Dr. Kwok is a part of.